Presented by Film is Truth. Tickets are only $5! 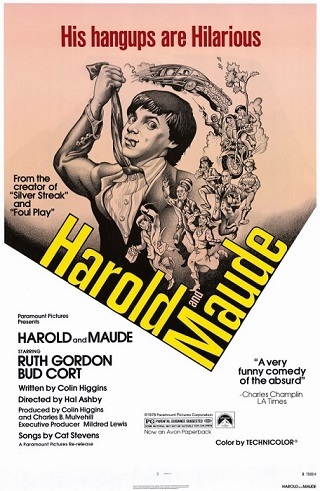 Cult classic pairs Cort as a dead-pan disillusioned 20-year-old obsessed with suicide and a loveable Gordon as a fun-loving 80-year-old eccentric. They meet at a funeral, and develop a taboo romantic relationship, in which they explore the tired theme of the meaning of life with a fresh perspective.